Aros Mini MBA is probably Denmark’s most ambitious Mini MBA, developed in close co-operation with Denmark’s leading expert on management, Steen Hildebrandt. You get introduced to the essential MBA subjects and the ongoing ideas of management today. The 5 Best Reasons to Choose the Aros Mini MBA! Your syllabus consists entirely of literature from acclaimed writers and professionals. You will experience a professional Mini MBA focused on your personal development as a leader. Remember: If you sign-up more than one person from your organization, we give you a 1,500 DKK discount per participant! Who should participate on the AROS Mini MBA? Aros Mini MBA is 100 % designed for you who want to become a better leader and manager – now or in the future. It is for you who yearn to become smarter; and for you who want your skills and competencies certified. We know for a fact that you gain a lot of value by using leaders from different branches and management steps as your sparring partners. It is counterproductive for an education as this one to exclude participants based on age, experience, managerial level, or branch. Therefore, there is no official admission requirements for the Aros Mini MBA. 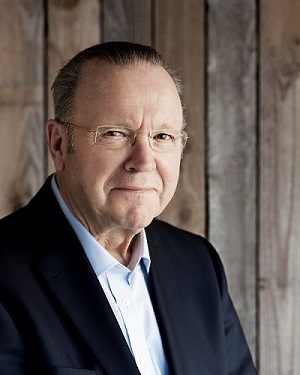 Professor Steen Hildebrandt is perhaps the biggest name in the Danish field of management. It is no coincidence that we have asked him to design the Aros Mini MBA. Hildebrandt has built the foundation, selected the most important topics, and handpicked some of the country’s most competent instructors. Together, we have designed an ambitious education that not only gives you theoretical and practical knowledge on management, but also secures your personal development as a manager. A Mini MBA is your opportunity to broaden your perspective as a leader and manager through an introduction to the classical MBA-disciplines. See a factual comparison of the two most prominent Mini MBAs in Denmark (in Danish). We have teamed up with one of the leading experts in management, Professor Steen Hildebrandt. He knows better than anyone, what you should rightly demand from an MBA. He has made sure that the core principles of the traditional MBA have been incorporated into our Mini MBA. Therefore, we can proudly claim that Aros Mini MBA meet the professional standards worthy of the MBA title. It is a common misunderstanding that Danish course providers are able to grant students ECTS-points for their educations. Despite claims of the opposite, no Danish Mini MBAs are ECTS accredited. If any Danish provider claims that their education grants you ECTS, these will only be valid at the given provider, which basically makes them valueless. Valid ECTS-points can only be provided by state accredited educational institutions. It is also noteworthy that ECTS-points are only indicatives of for the workload during the education. Thus, the points have no correlation with the quality or professional acclaim of the education. The link will automatically generate an e-mail request for our course secretary. All you have to do is press send (and add some further information or questions, if you want). You will receive the material within one business day. It is incredible how all the instructors at AROS are able to relate to and engage in other companies’ and employees’ challenges. They adapt their teaching to our exact needs. The professional participant network you build throughout the education keeps you updated, challenged, and informed after you have finished your Aros Mini MBA. The working environment in your organization gets a healthy boost through your new management qualities and team leading tools. Strategy, change, and learning, is i.e. about being forward-looking. Management is about connecting the present with the future. It is about understanding both the mission and the vision of the corporation, and developing strategies and plans to help bring the corporation into the future. It takes learning, change-insight and change management. The strategic management is decisive for the future prospects of any corporation, and during this subject area, we focus on concepts and models key to this correlation. In general, this module centers on the different complications regarding strategy and change in the scope of both national and global powers and relations. Corporations exist in very turbulent surroundings linked to the strategic situation and the management defining the given organization. What is the strategic situation of the corporation and agenda, how are strategic analyses carried out, and how is strategic decisions and initiatives implemented in the organization? The identity and mission of the corporation are key to this important work. Both private and public organizations are like living creatures. They develop, need management, they are designed and redesigned. Management is the key to a better future for corporations and society. Management is performed by people conscious of their own role, their responsibilities, and their opportunities. Creating results is one of the key elements of management and leadership. Subject Area 2 focusses on both the traditional theories on organizations and management, as well as the latest and more nuanced concepts in the field. What is an organization? What is management? First of all, management is about understanding the reality in which the corporation is placed right now, and then connecting the present with the future on the basis of this knowledge. How has the organization developed up until now, and how must it be designed and structured to meet the future in a learning and creative way, so that the potentials of the organization are realized? You will be presented for the necessary concepts, models, and points of reference, discussed and related to your own experiences. Personnel Management and Human Resource Management focus on the management of people and the development of organizations. People are the center of any organization. People, competences, and culture along with technology, infrastructure, and so on, are the roots of all the different results the modern organization creates. People are at the center of any organization. Naturally, many problems and models of solutions are designed to deal with people, whether as individuals, groups or the entire organization. MRM, leadership, followership, co-operation, and dialogue are all important factors of managing the people of the organization. The individual and the relations between people take center stage. This subject area deals with HRM as a concept and the aspects of measuring its practical execution entails. The philosophies of man, organization and society are important themes. Group processes, conflicts, relations, etc. are the factors that characterizes the everyday of any organization. How do you manage the development of people and groups of people? How do you work with meetings, negotiations, conflicts, dialogues, managerial development, etc.? Change are a basic condition of the modern corporation. A few years back, the conversation was only on the desired changes of the given organization. Today, it is necessary to consider the changes appearing from outside the company – often as surprises. During this module, we focus on all kinds of changes, and we emphasize the understanding of people’s reactions to and engagement with changes. Risk management and technological management are also subjects we touch upon here. In closing, we will briefly discuss the concept of resilience in corporations and individuals. Management and Organizing is about creating results. Productivity means resource deployment and the creation of results in the organization. Economy, measurements, and understanding financial statements are important themes. What does the concept of the bottom line entail for the modern corporation? Often, the term “business” is used to describe a corporation. But which business model and what kind of business thinking characterizes your organization? Sometimes, financial circumstances and management are viewed as two sides of the same coin, and in these circumstances financial statements, performance reviews, and the understanding of growth take center stage. By now, multiple other statements and reviews support the exclusively financial statement. In this context, measuring is important: What should your company measure and how? And how do you communicate your results? Productivity, efficiency, and quality are three coherent and important concepts. How well does the organization utilize the necessary resources in order to create quality and satisfaction for clients, buyers, and users? Management and leadership. This subject area focusses on the personal leadership. The leader’s person and communication, your personal development, roles, and authenticity take center stage. People perform management and leadership. Executive recruiting, managerial development, and evaluation of superiors are central themes. Relations to people, organizations, and stakeholders are important aspects. An organization consists of relations between people and departments, and the organization in and of itself exists in complex networks. The personal, as well as the relational, is the center of this module, where we focus on the manager as a person and communicator. Key terms are roles, personality types, communication and dialogue, knowledge sharing, and co-operation are key terms, along with the aspect of relations. We will discuss these concepts critically and from different perspectives during this module. We will conclude this subject area by looking back on some of the concepts and models that we have been working with. Together we pose these questions: Where do the important changes take place? What tendencies of change and development exist in the field of modern organization and management, and how will some of these consequences on the practicalities of management influence you? Get the full overview of the Aros Mini MBA exam. You can choose to decline the exam and receive a diploma for participation on the Aros Mini MBA, should you wish to do so. If you take the exam and pass, you will receive an examination certificate for the Aros Mini MBA. You will receive approximately 300 pages between the course days for you to read in your spare time in the month between each course day. Even though it might sound like a lot of reading, it is our experience that it is doable. Even if you are not used to reading a lot. And even if you are very busy. The texts on the syllabus will be in English. The syllabus only consists of texts by acclaimed writers. The syllabus and other materials are included in the course price and will be handed out before the first day of courses. The syllabus for the first course day will be sent to you before the first day ensuring that you have time to read it. If you sign up close to the first day of the Mini MBA, and are afraid whether or not you will be able to receive the material in time, feel free to contact us by chat or mail and we will find a solution. To us, the Aros Mini MBA is about giving you a profound upgrade of your professional skills. A key element for you to receive this is actual concrete training. Therefore, we have planned different exercises between each course day. The exercises focus on relating the theories and the new tools to you as a manager (or manager-to-be) and to your workplace. In this way, both you and your employer benefit from your Aros Mini MBA. The exercises are not mandatory and it’s up to you how much work you put into them. The exercises lay the foundation for the meeting with your study group (also optional). We divide the students into study groups that meet 5-6 times during the education. The study groups give you the possibility to discuss the syllabus and the exercises – and to receive lots of feedback regarding your own situation and role as a leader. Your participation in the study group is voluntary and not mandatory for your education. But we recommend it, as the rewards will enhance the outcome of your learning. Steen Hildebrandt is Professor Emeritus at Aarhus University, Adjunct Professor in Management at Copenhagen Business School and Adjunct Professor in Management at Aalborg University. He has authored more than 20 critically acclaimed books on management, and he is commonly held as Denmark’s number one expert on management. 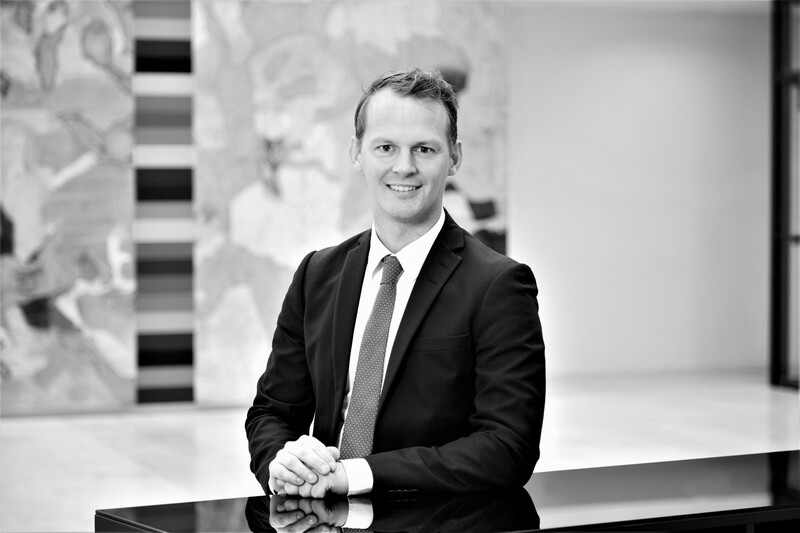 Steen Hildebrandt is also the co-founder and partner of the private consultancy Hildebrandt and Brandi. The 35 consultants of Hildebrandt and Brandi advise the top managers of Denmark. Steen Hildebrandt is your instructor on Subject Area 1. Since 1995, Claus Fadum Nissen has helped companies in Europe and North America meet their customers needs and helped them make money. He has done this from two sides of the table. In the first half of his carrier he worked as a manager in leading Danish companies like FLSmidth and LEGO and as a board member at Unicon Beton and Nyborg Plast. In the second half, since 2005, Claus has worked as a management consultant at PA Consul.ng, KPMG, and Cognizant in Copenhagen and New York focussing on design and transforma.on of processes, organiza.ons, and business models in various branches like the public sector, transporta.on, energy, the legal profession, and pharmaceu.cals. Mie Krog is Managing Director of the consultancy VimaVima and is board member in Flügger, Plantorama, Republica, and Altan.dk. She has previously held managing positions in Jysk, LEGO, IDEmøbler, Bilka, and KiMs. Her broad experience has given her profound knowledge on management, and she perfectly masters the art of exchanging this knowledge for animated and inspiring teaching. Mie Krog is your instructor on Subject Area 3. Ulrik Hjort is Group CFO for the Nordic company Allianceplus A/S with more than 5500 employees. Furthermore, he is Member of the Board for the NASDAQ registered corporation Stylepit. 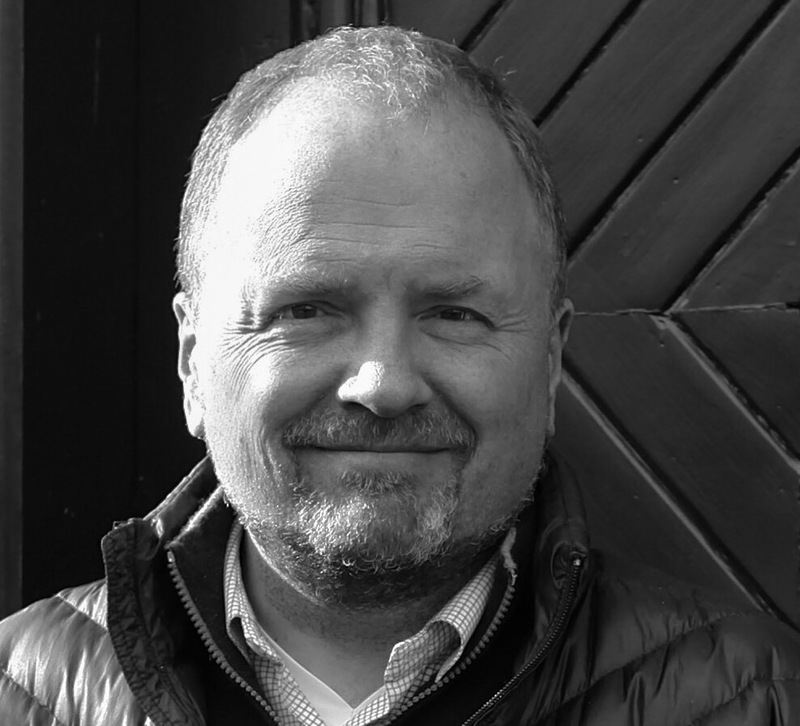 Ulrik Hjort has over his long career held a number of positions as top manager (for instance as CEO in Netcompany, the leading IT-bureau in Denmark) and he has international experience from New York, Frankfurt, Bangalore, and London. 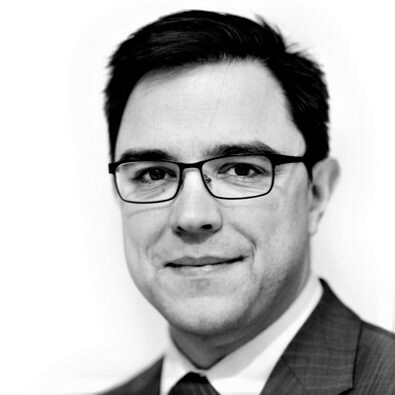 You will probably never meet an individual as experienced in financial management as Ulrik Hjort. You are bound to feel the strength and depth of his expertise as he guides you through your work with finance-oriented performance management. Ulrik Hjort is your instructor on Subject Area 5. 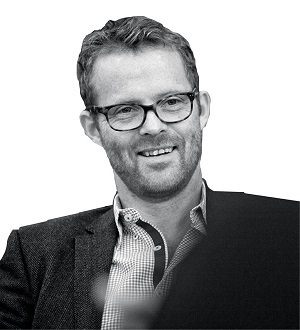 Kresten Schultz Jørgensen is the founder and managing partner of Lead Agency. 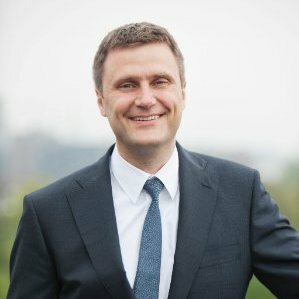 He is the former Managing Director of Dagbladet Aktuelt, secretary to the Danish Minister of Research, Director of Communiaction at Coca-Cola Nordic and Coca-Cola Hellenic Baltics, and the Director of Communication at the Royal Danish Theatre. Kresten Schultz Jørgensen has authored a number of debate books. 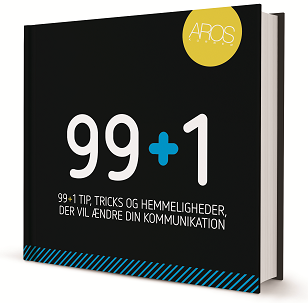 His latest book on direction of communication received 6 stars in Børsen. Furthermore, he works as External Lecturer at the Department of Intercultural Communication and Management at Copenhagen Business School. Kresten Schultz Jørgensen is your instructor on Subject Area 6. Prices are VAT excluded. It includes books, course readers, and exclusive catering during all course days. Payment due one week before first day of courses.